A few weekends ago I helped out at the induction ceremony for the Montana Cowboy Hall of Fame and Western Heritage Center. During the ceremony, a short bio of the inductee is read out loud and a large group of family and friends gather together to accept the award. Eventually the Montana Hall of Fame and Western Heritage Center will have a bricks and mortar museum in Big Timber, MT. Some of this year’s inductees include Helena native Gary Cooper, local Lewistown ranching couple Clint and Sharon Martin, Gilt Edge cowboy George R. “Sonny” Smith, The Park Horse Saddle Company of Glacier Park, and the colorful character “Indian Jack” Hart. I am proud to be a 5th generation of a Montana ranching family, and my great-grandfather Elmer Weaver was inducted in 2013. What I enjoy most about this event is the incredible stories told and lives lived of the Hall of Fame inductees. These stories conjure up tales of rodeo, homesteading, cowboy artists, rank bucking horses, tribal chiefs, legacy ranches, and anything promoting the western way of life. This week I would like to bring your attention to the wonderful Montana history section we have at the Lewistown Public Library. 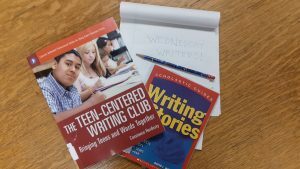 Legends abound in this corner of the library which are as different as our Montana landscape. 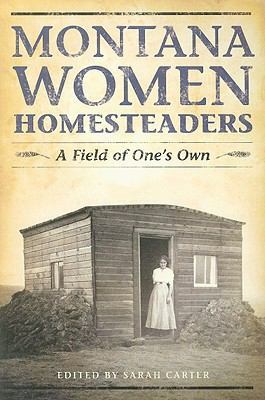 One of my favorite books in this section is Montana Women Homesteaders: A Field of One’s Own edited by Sarah Carter. 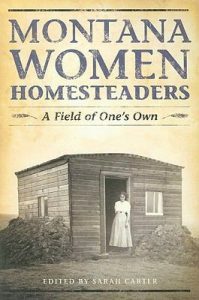 This book follows the lives of solo women homesteaders who bought land and tried to prove up on it. Some were schoolteachers, some were ranchers, but all of them were gritty women with a determined mind and heart. Another favorite is We Pointed Them North: Reflections of a Cowpuncher by Teddy Blue Abbott, which tells in his own words the years he spent trailing cattle to Montana from Texas and punching cows in the 1870’s and 1880’s as a stockman on the unfenced Montana ranges. Looking even farther back is People Before the Park: The Kootenai and Blackfeet Before Glacier Park by Sally Thompson. Before people went to Glacier Park as tourists, the Kootenai and Blackfeet tribes’ territories fell within the boundary of the Park. This book tells the traditions of these peoples from legends and spiritual beliefs to hunting techniques. For a little rabblerousing, you can check out Tiger of the Wild Bunch by Gary A. Wilson which describes the life and death of outlaw Harvey “Kid Curry” Logan. Also commenting on the wild and wooly is Ken Robison’s Yankees and Rebels on the Upper Missouri: Steamboats, Gold and Peace. These tidbits are just a small corner of the Montana History Collection, there are many more subjects that call this area home and are just waiting to be discovered.